ILIFE Intelligent Robotic Vacuum Cleaner is an essential household cleaning machine. The Gen 2 CyclonePower 3-stage System, which is the combination of agitation, brushing, and suction delivers the through and complete cleaning performance. The BladeAway spiral Rubber Brush combining with our Tangle Free Technology extracts dirt efficiently and solves the toughest issue caused by tangled brush that most robot vacuums faced. A full suite of Intelligent Sensors beneath the robot allow ILIFE robot cleaner to work its way around furniture and avoid stairs or other dangerous drop-offs. 8cm Ultra-thin Body with its super adaptive capacity makes it shuttle back and forth under furniture like beds and sofas without getting trapped. The 160min working time with 2500mAh powerful Li-ion battery is specially designed for large home. The Universal Wheel under the dust box effectively reducing the friction between the robot and the floor, improves the cleaning performance for carpet and hard floor. Start your new day without heavy housework and clean your floor every day all at a push of the button! Want to be notified when the ILIFE A6 Smart Robotic Vacuum Cleaner gets even cheaper? Make sure you snag the best price by entering your email below. We'll email you when the price drops, free! We're tracking the price of the ILIFE A6 Smart Robotic Vacuum Cleaner every day so you know if that deal is really a steal! Check back for to check the best price for this product - and whether its current sale price is really the cheapest it's been! 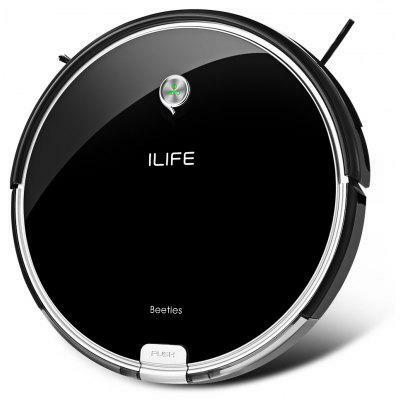 No ILIFE A6 Smart Robotic Vacuum Cleaner coupons found!